Esalen® Massage is a unique form of Bodywork developed over the last 40 years at the Esalen Institute in Big Sur, California. This technique is known for it’s long, integrating strokes, creating an experience of deep relaxation supporting the natural ability of body and mind to self-heal. People from all over the world come to Big Sur to learn this effective healing art, and now, Perry and Johanna Holloman are bringing certification trainings out into the world at carefully selected locations. These trainings, both basic and advanced, provide participants with in depth experience and practice of Esalen Massage techniques, enabling them to both to give a professional full body massage, or to enhance skills already developed. Our study of Massage will be complimented by daily meditation, yoga, and other movement disciplines. Through our daily massage and movement practice, we will experience in our own bodies the qualities of aliveness, and flowing presence central to this method. This process of self-exploration is a key element of grounding this teaching in the experience of the body itself. In so doing, we all have the opportunity to transform what would simply be a “technique” into a true healing art. The deeper intent of our seminars is to learn to touch others by first learning to be touched, not only by the hands of our fellow students, but by an expansion of our awareness throughout our own bodies, selves, and souls. During our time together we will also dedicate ourselves to the theory and method of Esalen Massage, learning to touch and integrate the different tissues of the body, as well as to understand the human body/mind anatomically. Learning the art of Esalen Massage is an experience which often changes lives. 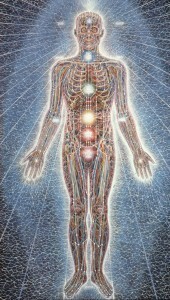 Whether your intent is to explore a change of career, deepen your knowledge of bodywork, or to spend time healing yourself through touching, our time learning this method will certainly stay with you for many years to come: For some, as a needed change in career path providing the creative inspiration which study of the healing arts provides; for others, as a profound time of self-exploration and transformation through touch and movement. Whatever your intention, the study of Esalen Massage is a profoundly healing personal journey. Model Found for our February 17-22 Working with Difficult Cases Class!